Offshore or global boaters rely on satellite connectivity which is far more expensive than land-based internet. Nearshore boaters have, typically, relied on marina Wi-Fi connections or a cellular hotspot through a smartphone however the service is spotty and can be unreliable. Boaters are now installing cellular modems, routers, amplifiers and external cellular antennas to establish a dedicated connection that can be broadcast for use on multiple devices aboard the boat. We are going to take a look at some of the most popular "nearshore" options. Modems/Routers. One of the most common products used for this is a smart hub such as the Telus SmartHub, the Rogers Rocket Hub or the Bell Turbo Hub. These wireless devices give you internet access and a phone line via a cellular connection. Typically they broadcast the internet throughout the boat via Wi-Fi plus there is one, or more, LAN ports to connect a desktop computer or smart TV, and one or two landline phone ports. These hubs allow up to 32 users and work with most Wi-Fi enabled devices including laptops, tablets, chartplotters and smartphones. A Burnaby-based company, Cypress Solutions, has introduced a new product called the Oxygen 3 Wireless Gateway. The Oxygen 3 has a built-in battery that provides up to 7 hours of battery life if you are disconnected from power or wish to turn your inverter off. These devices range in price from $200 - $600 and all of these companies provide a wide variety of data/voice plans. For many of us boating is more of seasonal thing, as an added bonus for boaters, you can subscribe on a pay as you go plan or you can even unsubscribe for the months that you are not using your boat. As well, these units have an internal antenna but also an external antenna port. External Antennas. There are two main types of external, marine antennas. Directional antennas, as the name implies, refers to signal coverage in a specific direction. Also referred to as uni-directional or Yagi, these antennas are good for use in a marina where you can point the antenna to fixed point on land. The second type, Omni directional antennas, have a radiation cone of 360 degrees. These antennas are by far the most popular choice as they don’t require any adjustments and are good for boaters as they move from one location to another or while swinging at anchor. Amplifiers or Boosters. Cellular boosters require at least some signal to boost, if there is no outside cell signal then the booster will not work. 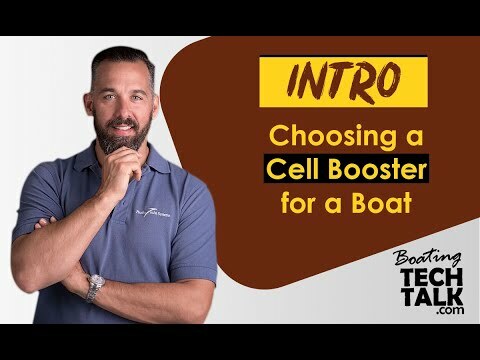 Cell boosters come in two different flavours, one relays the boosted signal via a wired connection to another device (i.e. smart hub described above) and the another transmits the signal wirelessly via a directional internal antenna to any nearby cellular device. How the boosted cell signal gets transmitted or relayed, via wire or wireless, has implications, each with its own pros and cons. The cell booster that transmits the boosted cell signal via a wire to another device such as smart hub, provides very little signal loss. Once the smart hub receives the boosted cell signal, it converts this signal to Wi-Fi to allow any Wi-Fi enabled devices to connect to the internet. This sort of conversion, cell to Wi-Fi, is identical to what a hotspot does on a smartphone. The main difference is a smartphone cannot receive a wired boosted cell connection and then convert this wired cell connection to a Wi-Fi signal. In other words, a wired cell booster, needs a smart hub to terminate the cell reception and convert it to Wi-Fi. 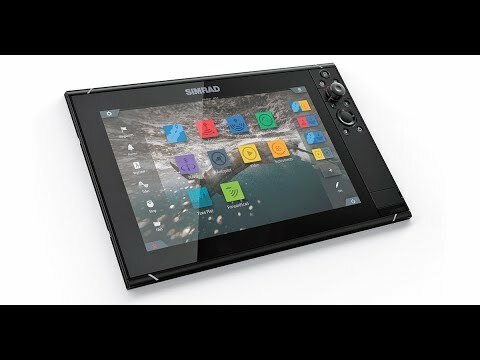 Devices onboard that require internet will connect to the smart hub via Wi-Fi. The smart hub acts like a hotspot and converts the Wi-Fi to cell, to communicate out using the boosted cell signal and external omni cell antenna. To read more about this system please refer to our May, 2012 TechTalk article “Cellular to Wi-Fi Modems”. The other sort of cellular amplifier has an internal directional antenna. This allows cellular devices that are forward of the directional antenna to receive a cell signal. The advantage with this cell booster is that no smart hub is needed to translate the cell signal to Wi-Fi. Our Favourite Pick. I have tested a number of different systems on my boat over the years and keep upgrading as the technology improves. Most recently, based on the awards and reviews, I choose to install the CA-VAT-10-R AnyWhere SuperHALO Cellular Booster Kit from Shakespeare, a marine grade 2G, 3G and 4G voice and data antenna. 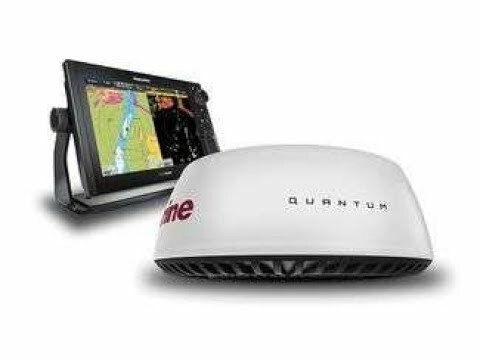 The kit ships with an indoor and outdoor antenna, cell booster and cabling which enables you to optimize cellular coverage on your boat where reception may be weak due to your distance from a cell tower or mountainous terrain. Designed with boaters in mind, the unit will go dormant when not in use to save power. I spend much of my time on the Sunshine Coast travelling from Secret Cove to Jedidiah Island and have had great reception in areas that there has been little. For instance, we often anchor South of Home Bay, without a cell booster the reception is about 1-2 bars on the iPhone, with the Anywhere SuperHALO booster turned on, we were getting a steady 3-4 bars. It was enough data, that we could stream Netflix. Another surprise was the improvement of cell reception in Secret Cove. Cell coverage is spotty at best, and without a booster cell reception is 3G with 1-2 bars, with the SuperHALO booster reception went to LTE and 3-4 bars. Install the external antenna as high as possible. For instance on the cabin or arch of a power boater, radar mast (if present) or aft rail on a sailboat. 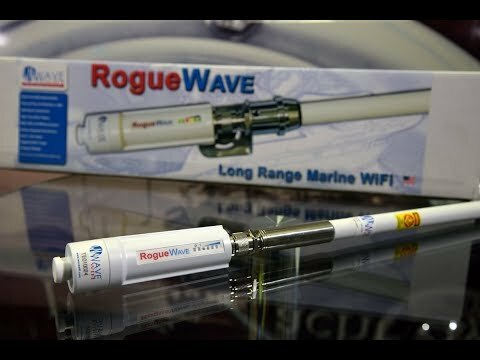 Before deciding on a external antenna location on my boat, I actually tested the setup in multiple places without permanently installing the cabling or the antenna. The internal and external antenna should not face each other. The internal antenna is directional so the connected devices have to be forward of the antenna. The beam angle of the internal antenna is about 120 degrees from the face of the antenna. Make sure NOT to coil the excess internal or external antenna cabling. A. Red flashing light means the band is over-powered by outside signal. This happens when you are too close to a cell tower. B. Yellow flashing light indicates the AGC is active meaning the gain of the booster is being automatically adjusted. This happens when the incoming signal is a little less than too strong. C. Yellow/red flashing indicates oscillation meaning the outdoor and indoor antennas are too close together. D. Solid yellow indicates there is no activity on that frequency at this time. It goes into sleep mode. Oscillation and Overload. There are two main challenges to watch for when installing a cell phone booster with a wireless directional antenna, oscillation and overload. Oscillation occurs when the boosted signal from the inside antenna makes its way to the outside antenna creating feedback. The best way to remedy this is to increase the physical distance between the antennas while ensuring that the inside antenna is not pointed at the outside antenna. Overload happens when the outside signal is very strong and the amplifier is overloaded with too much signal. In most cases, the amplifier will shut down and will not start again until the boat has moved away from the strong signal. More and more marine equipment is now Wi-Fi compatible, making communications, navigation and upgrades easier than ever. The best way to choose the option that will work for you and your crew is to decide how and where you want to use the technology. If you travel from marina to marina, where good Wi-Fi is provided by the marina or nearby businesses a Wi-Fi booster may be the solution. If you like to anchor or travel further distances, you may want to invest in a SuperHALO cell booster solution. Ask questions, do your homework and invest a little time so you don't waste your money.